As expected, today at Mobile World Congress (MWC) in Barcelona, LG has announced the LG G5, their latest flagship Android device. Sporting a 5.3″ quad-HD display, 4GB of RAM and a 16MP camera, this device is certainly worthy of the term flagship. LG uniquely is also offering a module concept for the G5, allow you to have extra features or functionality in the phone by adding one f these modules. The two announced where the LG Cam Plus which gives you a camera grip and an additional 1100 mAh of battery, as well as the LG Hi-Fi Plus for improved audio play out of the device. 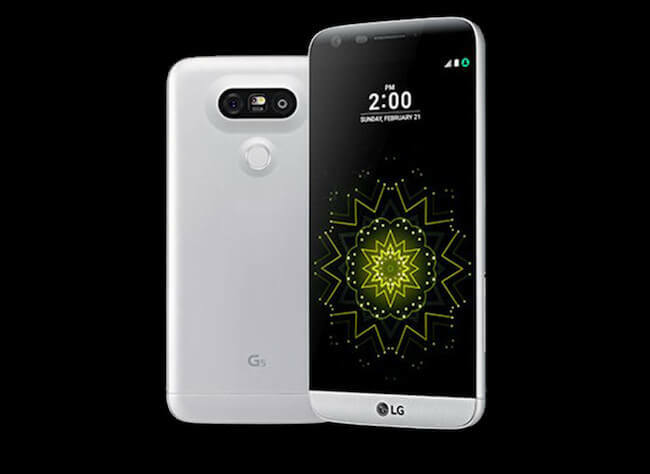 The new LG G5 will come out of the box running Android 6.0.1 and along with the 16MP main camera on the back, there is also an 8MP wide-angle camera as well. This secondary camera is design to capture great panoramic with its 135-degree view angle. Here is a complete run down of the specifications. The LG G5 is expected to be available in the United States in the second quarter of this year and be around the $700 price mark. Those aren’t official just yet but that will give you an idea of what you can expect.